When it comes to our standard car rentals, there’s simply nothing standard about them. Each offers an incredible amount of space, is inexpensive to rent, even in the long term, and is extremely stylish in design both inside and out. 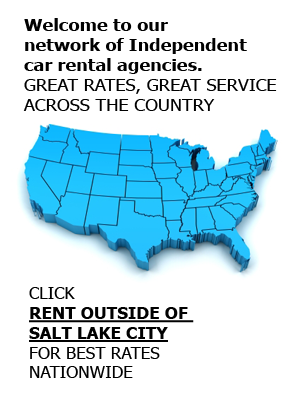 At Affordable Rent-A-Car And Sales, we cater to our customers by offering the most affordably priced standard-sized car rentals in the Salt Lake City area. Call us today at (801) 266-7368 for a quote or to reserve a rental vehicle for your upcoming travels into Utah. Located in SLC, our two main rental offices serve the entire area, including Jackson Hole, Park City, Moab, and all surrounding towns and attractions. Since opening in 2000, we have served everyone from single vacationers, business travelers, and entire families. With this experience, we understand that our customers want both affordable and quality rental cars, as well as exceptional and convenient services. This understanding has developed into a complimentary delivery service for airport rental cars, as well as door-to-door shuttles for those who need a temporary car rental after an auto accident or theft. Our goal is to satisfy every customer, and we take it seriously. Whether you rent an economy car, full-size car, or luxury sedan, we work for you. Make the decision to rent a modern, comfortable vehicle on your next trip to Salt Lake City and come to Affordable Rent-A-Car. As a family-owned rental company, we take pleasure in working with each customer who comes through our doors. Submit your online reservation for any of our rental vehicles, including vans, SUVs, cars, and trucks, or contact our rental office at (801) 266-7368 to speak with one of our helpful rental agents. We also sell used vehicles and rent to production companies.